Was Bernie born evil or just made to be? If you've ever wondered what inspired Bernie Madoff's now-famous Ponzi scheme, a new expose suggests that it came naturally to the Queens native. 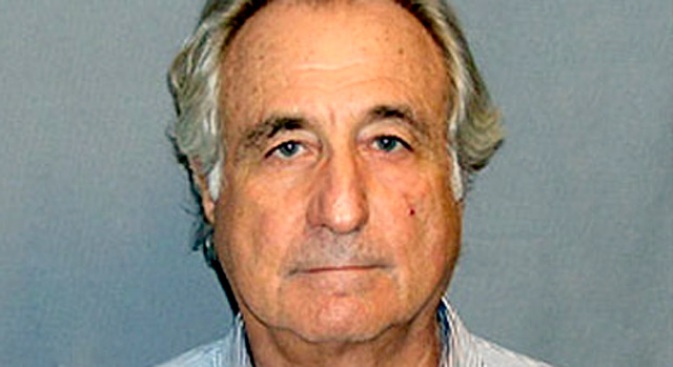 "Madoff With the Money," out next month from Wiley, retraces the life of the disgraced financier from his childhood in Laurelton, Queens, through high times in Palm Beach and on Wall Street, to his jail cell in a North Carolina prison, according to the Global Investor Bookshop. "Bernie showed his con-man colors as early as high school, when he held an English class enthralled with an oral book report -- one that he made up on the spot out of whole cloth," Jerry Oppenheimer, the book's author, told the New York Post. "He also robbed Uncle Sam out of two years of Vietnam War-era Army Reserve active duty by developing a case of nerves." And as no life of crime would be complete without an ailing marriage, Oppenheimer includes many a sordid detail, chronicling payoffs to female employees following alleged affairs. But, his wife, Ruth, didn't seem to take her her husband's fall from grace too hard. After his arrest she "seemed to have just one concern: whether a $4,000 garment she'd bought in Palm Beach had been altered and shipped," the author told the Post.